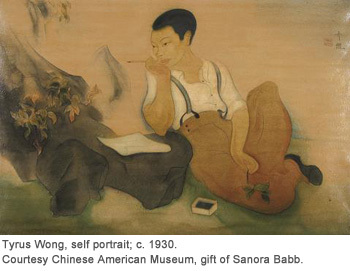 In an earlier post about Disney creating Mickey Mouse, I mentioned that I went to Chouinard Art Institute in Los Angeles, where Walt Disney was a patron. 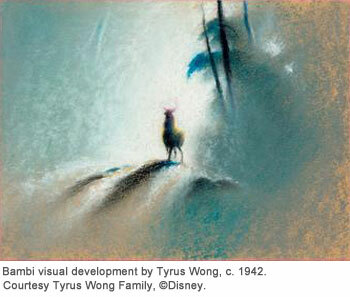 One of my fellow students was Kim Wong, whose father, Tyrus Wong, worked for Disney and is perhaps best known for painting the water-colour-like backgrounds for the 1942 classic Disney animated film Bambi. Ty was honored as a Disney Legend in 2001. 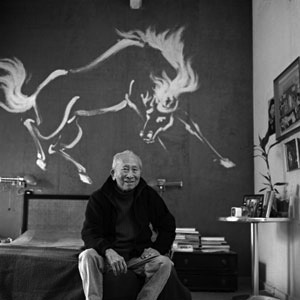 Tyrus Wong at home in Sunland, CA, 2004. Photo by Peter Brenner. 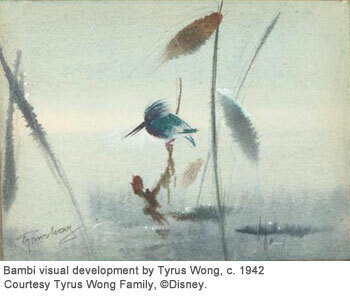 This week, the Disney Family Museum in San Francisco will honor Tyrus Wong by showing a retrospective of his work. 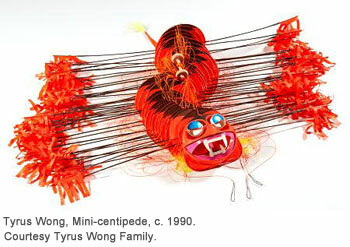 He is now 102 and the show will also feature some of the kites he created and continues to fly on the beaches of Santa Monica. 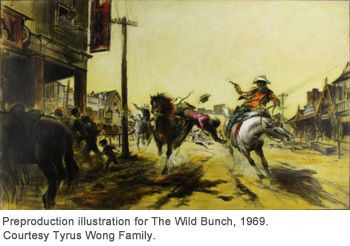 This entry was posted in Uncategorized and tagged Tyrus Wong retrospective at Disney Family Museum, Walt Disney and Chouinard Art School history. Bookmark the permalink.